Whether you are at the sink cleaning vegetables, or in need of that dish in the top cupboard just out of reach, this step stool is a great solution. At 23" seat height, it is a standard bar stool height. 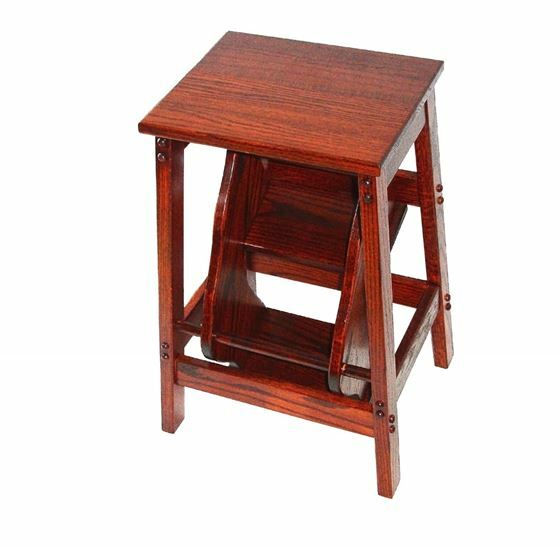 This Stool measures 14" wide, 17" Deep, and 23" high (without back) With back, It measures 16" wide, 17" Deep, and 36" high. Choose our solid oak Amish built Step Stool. Made from solid oak, this convenient addition to your home will give you that extra boost you need to reach that top shelf or simply fold the steps into place and you have a good seat while you are cleaning those vegetables at the sink. 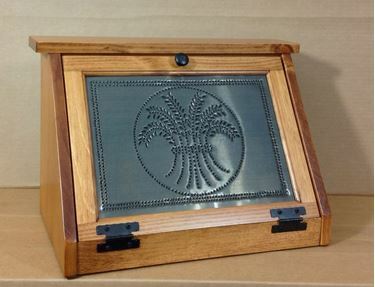 When you are finished, it is a handsome piece that will be an attractive part of your kitchen decor. It is also available with a Back for more support to those who need it, just check the box for this option. There is an upcharge automatically added to the purchase price. No matter where or how you decide to use it, you'll appreciate it.....for the guys, it could be a great addition to your work bench. You can easily reach that high place or sit comfortably as you work on your favorite project. At 23" seat height, it is a standard bar stool height. With back, It measures 16" wide, 17" Deep, and 36" high. I bought 2 and they are beautiful! Wonderful craftsmanship, sturdy and true to color. Very good communication and very well packed for shipping. The wood grain is set off wonderfully by the stain and rubbed finish. I purchased with out the backs and they fit very nicely in the kitchen. This was a very good shopping experience!